Just in time to help you with your New Year’s resolution to eat healthy… a Veggie Club with CHOICES!! That’s right, now you can choose what you want in your veggie box from our local, Certified Organic farm. We have teamed up with CSAware and their state-of-the-art software that now makes it possible for you to make choices in your weekly box. You may customize your box with the items you want for your family, all ONLINE for your convenience. Some folks like everything, and some are a little more selective, so we want to meet your needs. Our garden can be your garden. Going on vacation and need a break? No problem, you can stop and then start again when you return. We understand that parents want to feed their children wholesome food for prevention, and that there are others who are on special diets because of health issues. This is real food in which you can have confidence. 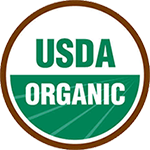 Acadian Family Farm is a 100% Certified Organic farm in western Oklahoma. 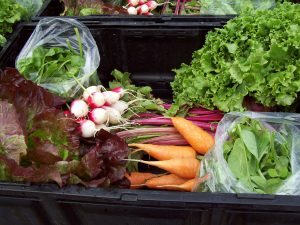 We have a history of growing fresh, seasonal vegetables for Veggie Clubs, Farmers Markets and health food stores in the OKC area. We are immensely devoted to the health of our community, and believe that people should have access to healthy food. Hurry and sign up to save a spot. We need to know how many people for whom to plant so we can know how much seed to order. First month’s payment in advance is your deposit to hold your spot. Membership will include a free farm visit. Weather permitting, our first veggie delivery should be in early-mid April. Click above on the “Join CSA/Veggie Club” to check out Frequently Asked Questions (F.A.Q.) and Policy Links.